Sulzer Mixpac has announced the launch of Mixpeel™, a revolutionary and reliable adhesive packaging and dispensing solution that fits two components in a one-component style cartridge. 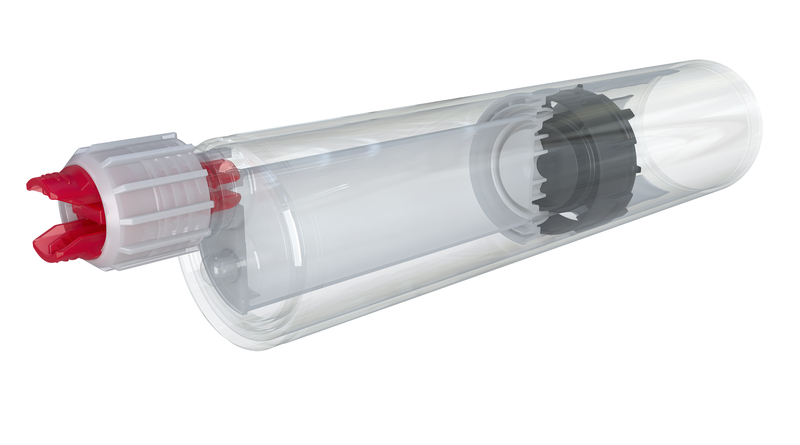 Customers can benefit from ease of use, improved filling procedures, additional filling volume, reduced waste volume and enhanced performance. Sulzer Mixpac, the world’s leading manufacturer of two-component material packaging, mixing and hand-held dispensing systems has leveraged more than 10 years of experience in peeler technology to deliver Mixpeel. The system features the company’s latest 2-in-1 concept designed particularly for the construction sector. It can be used for a wide variety of applications such as chemical anchoring, 2-component sealing, crack repair etc. Mixpeel presents a number of innovative characteristics that improve overall performance and product reliability. Mixpeel provides key benefits to fillers as well as adhesive manufacturers. The new design enables both of them to easily and quickly fill the cartridge from either the nose or the backend. For front filling, pistons come pre-inserted to streamline the process. When it comes to the new 280ml filling volume, Mixpeel provides additional capacity versus other competitive products in the market. Finally, yet importantly, the retained waste volume is much lower, compared to other products, providing environmental benefits. Sulzer Mixpac 1:1 280mL Mixpeel system is compatible with a wide range of one-component dispensers offered from the COX™ and MK™ range. The Mixpeel package combined with the dispenser as well as the Sulzer MIXPAC mixer portfolio allows the users to benefit from a proven system that is wholly engineered by Sulzer Mixpac to provide superior quality and optimal mixing performance for their applications. Image 1: Sulzer Mixpac has announced the launch of MixpeelTM, a revolutionary and reliable adhesive packaging and dispensing solution that fits two components in a one-component style cartridge. Image 2: Mixpeel can be used for a wide variety of applications such as chemical anchoring, 2-component sealing, crack repair etc. Sulzer Mixpac AG is a worldwide leading manufacturer and supplier of products and services for liquid application and mixing technology. As part of the Applicator Systems Division within the Sulzer Group, the Mixpac business unit can draw on a strong international network. The head office is located in Switzerland. For optimal service to its customers, subsidiaries are located in the USA, Brazil, Germany, UK, Poland and China. 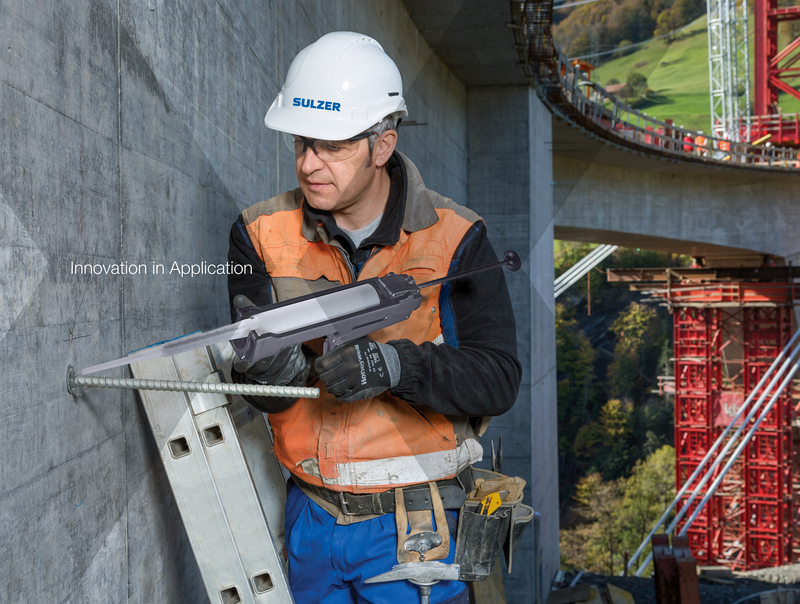 Sulzer's core strengths are flow control and applicators. We specialize in pumping solutions and services for rotating equipment, as well as separation, mixing and application technology. Our customers benefit from a network of over 180 production and service sites around the world. Sulzer has been headquartered in Winterthur, Switzerland, since 1834. In 2018, we achieved sales of more than CHF 3.4 billion with around 15'500 employees. Our shares are traded on the SIX Swiss Exchange (SIX: SUN). www.sulzer.com. MIXPAC™ is a registered trademark of Sulzer Mixpac, AG, Switzerland.